Treatment is achieved by decompressing the nerve and preventing motion at the effected segment while allowing for the adjacent vertebrae to permanently fuse. This is achieved through a 'stand-alone' interbody cage with screw construct. Stand-alone cervical interbody cages have proven similar clinical results to interbody cage and plate constructs, resulting in 'stand-alone' cages becoming more popular in recent years. 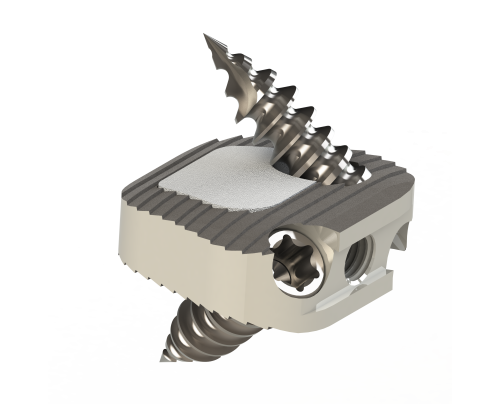 The Southern Anterior Cervical Fusion Screw Cage (SPICCA-SP) comprises of a PEEK body with anterior titanium-alloy bone-anchoring screws. The system is meant for a maximum of 4 levels from C2-C3 to C7-T1 and a maximum of 3 levels as 'stand-alone'. 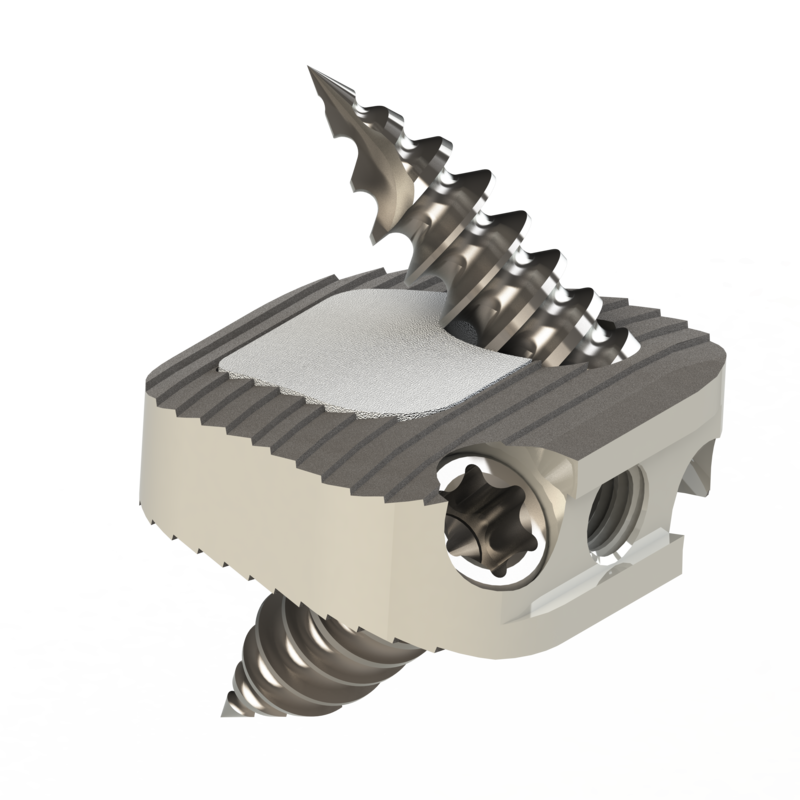 The SPICCA-SP is anatomically-shaped to fit the cervical disc space optimally, with three footprint sizes and multiple heights to restore disc height. Titanium coated serrations and extended titanium markers prevent the device from being displaced between the vertebrae. A large bone graft window accommodates bone graft or synthetic bone inserts. The large bone graft area and titanium coating improves osseointegration with the vertebral endplates. Procedure time is reduced and bone purchase is increased by means of self-drilling and self-tapping bone-anchoring screws. Screw retention is achieved by means of an integrated locking design.